The family of a Boston police officer who was injured during the Watertown shootout with the Boston Marathon bombers in 2013 will receive a line-of-duty death benefit, State Retirement Board officials said Thursday. 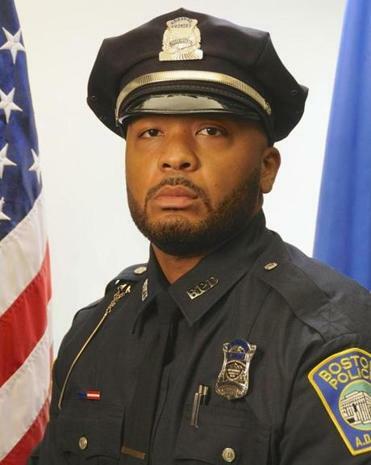 The one-time benefit of $150,000 will go to Dennis Simmonds’ family, who said in an application to the board that the 28-year-old decorated officer died as a result of injuries he sustained on the job, including events in Watertown that followed the Marathon bombings. Simmonds was one of the first officers to rush to the chaotic scene in Watertown that night in which Marathon bombers Tamerlan and his brother Dzhokhar Tsarnaev engaged in a gun battle with police and tossed homemade bombs. Simmonds suffered a head injury in those blasts. 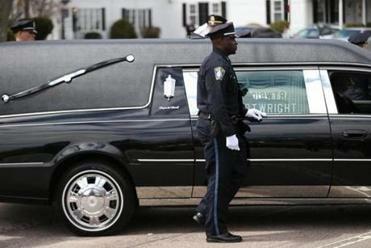 He died a year later, on April 10, 2014, after a medical emergency at the Boston Police Academy gym in Hyde Park. Simmonds wanted to be a cop to make a difference. In just 28 years on this earth, he did. The panel also stated that “his injuries were persistent after the episode involving the gun battle between police and Boston Marathon bombers . . . in Watertown.” The report suggested Simmonds’ death was probably the fifth related to the Marathon bombings. Speaking to reporters after the board’s ruling, state Treasurer Deborah Goldberg, said, “This officer clearly gave his life to keep all of us safe.” Goldberg is the chairwoman of the board. Simmonds’ family was not present for the hearing Thursday, but Favorito said the board immediately notified the officer’s relatives of their decision. He said it would take a couple of weeks before the benefit is released. Boston Police Patrolmen’s Association president Patrick M. Rose praised the board’s decision.